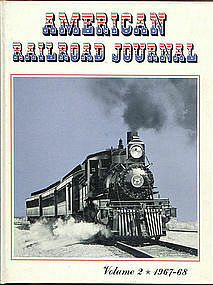 American Railroad Journal, Volume 2 1967-68 printed by Golden West Books. Several stories by different authors. One is on Tramps or Hobos. Great reading. Little shelf wear, very fine condition. Media Mail w/Del Confirmation.